We had a fun day today fishing the Alice Kelly Tournament! Most importantly two wonderful ladies Victoria Martin and Robin Lanier caught their first White Marlin aboard the Pelican today! Congratulations to all the ladies who fished and supporting this great tournament! A Huge Day For The Bracher Family!! 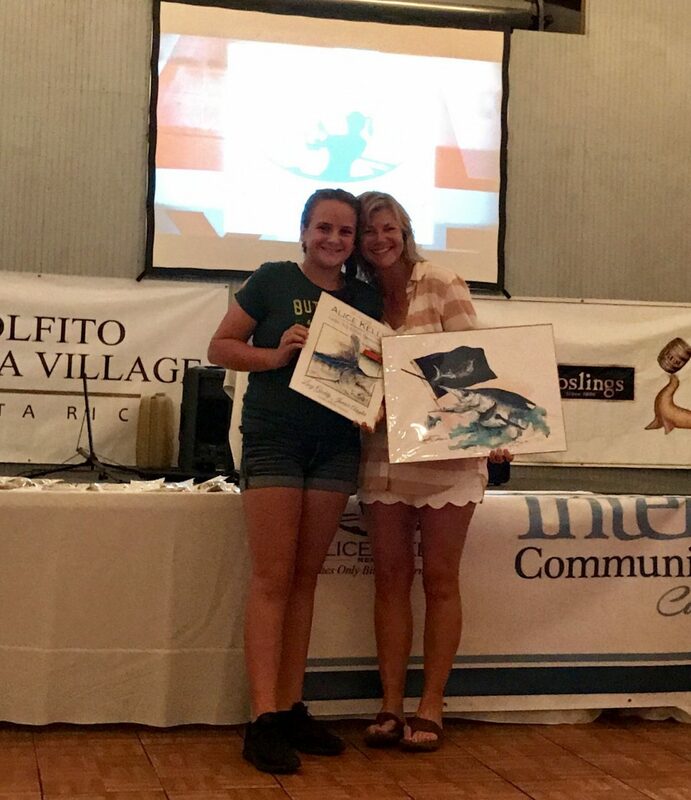 We fished the Annual Alice Kelly Memorial Ladies Only Billfish Tournament yesterday bringing home two big awards! Our neice Emily Bracher took home the Junior Angler Award..AGAIN!! We also won the Paula Stanski Award for Angling Excellence! I couldn&apos;t have imagined the day happening any better than it did. At 9:03 I released my White Marlin on the left flat and Emily released hers at 9:08. It was so very special to be standing next to her fighting our fish together!! We are extremely proud of Emily, her love for fishing and proud to be part of such a wonderful tournament!! Tomorrow the Pelican will fish the first day of the PCBGT. I&apos;ll be keeping you updated!! GO TEAM PELICAN! https://www.fishthepelican.com/wp-content/uploads/img_1622.jpg 1280 1031 Summer Bracher https://www.fishthepelican.com/wp-content/uploads/2018/11/pelicanlogo-circular-3-300x300.png Summer Bracher2017-08-14 09:43:002017-08-14 09:43:00A Huge Day For The Bracher Family!! Alice Kelly 2014 Congratulations Emily! This is how the Pelican girls roll! Congratulations to our niece Emily for winning Top Junior Angler award! https://www.fishthepelican.com/wp-content/uploads/2018/11/pelicanlogo-circular-3-300x300.png 0 0 admin https://www.fishthepelican.com/wp-content/uploads/2018/11/pelicanlogo-circular-3-300x300.png admin2014-08-10 21:05:472014-08-10 21:05:47Alice Kelly 2014 Congratulations Emily!